If you own a reasonably modern car (say, within two or three years old), there's a significant chance that car has some kind of cellular connectivity embedded in it, and this allows the car to do stuff remotely. Like, start. Or unlock the doors. Or lock them. Or honk the horn. These things have names... like mbrace (Mercedes), AcuraLink, Enform (Lexus), OnStar (GM), MyLincoln, and so on. 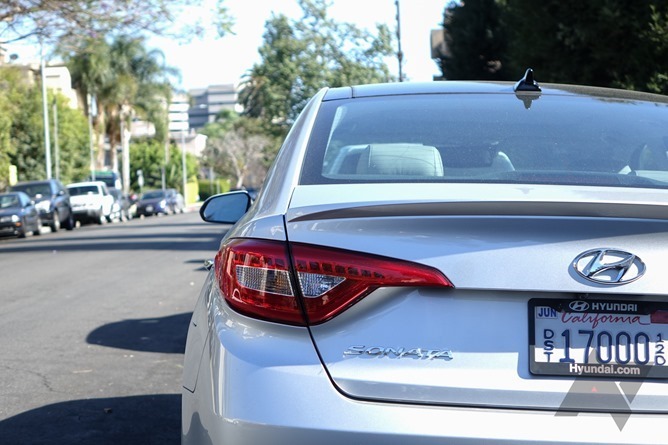 Hyundai's version, BlueLink, isn't the most fully-featured of the bunch, to be honest. But, as one of the first and arguably most enthusiastic Android Auto partners, Hyundai's shown an interest in Android that few automakers have, as evidenced by the fact that BlueLink now has an app for Android Wear. The Wear app does what you'd expect - lock, unlock, remote start, stop, flash lights, honk horn, call roadside assistance, or dial BlueLink. 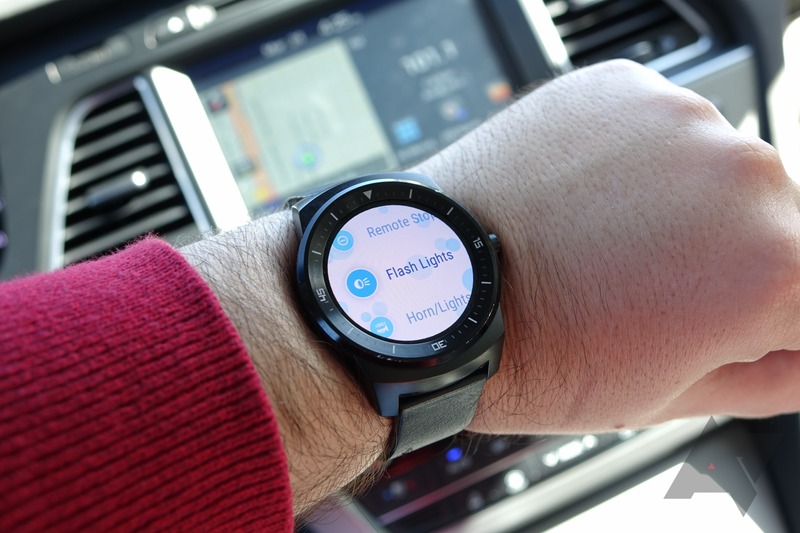 Hyundai is the first auto manufacturer to officially embrace Android Wear, and it's not difficult to see why - a smartwatch makes a pretty ideal replacement for a lot of key fob functions, in theory. But can it actually replace one yet? For now, the answer is no (not that Hyundai claims otherwise). Partly because you obviously still need the key fob to drive the car, and partly because the experience using Wear right now is just not there yet (also battery life duh). But it's exciting to see where Hyundai (and likely other automakers) will take this concept as it refines and hones the experience and adds features. My first day experimenting with BlueLink, I decided I would get the car cooled off before I actually got inside. You don't get climate control options in BlueLink, but when you activate remote ignition, the AC or heater will kick on to get the cabin to a comfy 72F. I hit the remote start button on my G Watch R, and it said command sent. I walked out of my apartment and down the street to where I'd parked the silver 2015 Sonata Hyundai loaned us for this test, and lo and behold, the engine was running and the hazards were flashing (presumably to let passer-byes know the car was not going to just drive itself away or something). So, how easy is it to send this command? Well, I think it's fair to say that it's not as easy as most of us would want it to be in an ideal world. First, you have to activate BlueLink on Wear. 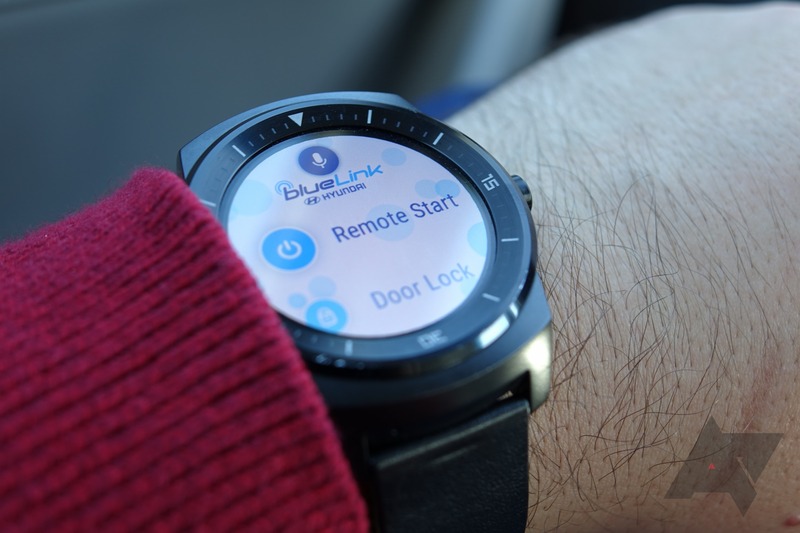 This means either tapping the face while the watch is awake and selecting "BlueLink" right below the red voice activation circle, or saying "OK, Google, start BlueLink." There is no way to voice-ignite your car in a single step. Once BlueLink launches, you can either tap the option you want or tap a microphone and say what you want. At that point, you then have to type in your PIN on a little number pad on your watch, which while not as difficult as you might think, does require your concerted focus. Part of the problem here is Wear. 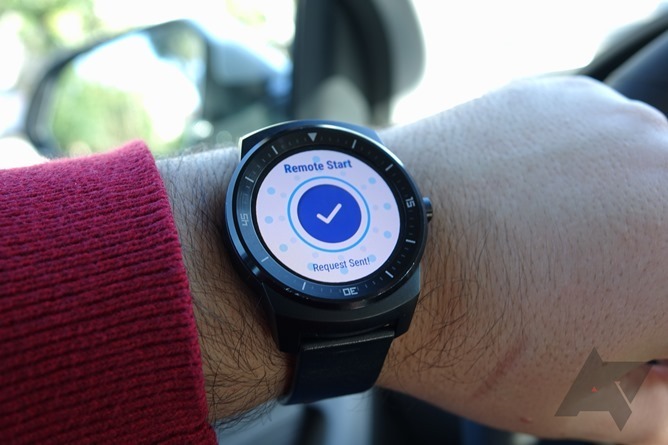 Wear doesn't support custom voice commands yet, and Hyundai would, according to them, add such a thing if Wear allowed it (ie, "OK, Google - start my car"). This would greatly increase usability of the app, and I hope Wear does get support for this kind of thing soon. The next barrier to full touch-less car starting is the PIN entry. And no, carmakers probably don't want you blurting out a private 4-digit code that can be used in combination with an app to start your car, so that's probably out. But what about personalized voice authentication? Google Now has this technology embedded already, and if a rumored 'trusted voice' feature pans out, it's entirely possible Google will make this an API available to developers. But that's entirely speculative. Having to enter a 4-digit code if the rest of the process goes finger-free, though, probably would be manageable. Like I said, it's not as hard as you'd think. Though it could just go away entirely. I realize it terrifies insurers, but storing an authenticator token on the watch that lets you skip the PIN would be worth any small risk that might present. After all, while I can understand losing your smartphone and thus wanting PIN entry on that end, you're unlikely to have both your watch and phone stolen, but not the car keys, and have a thief savvy enough to understand the watch can unlock the car without a code. 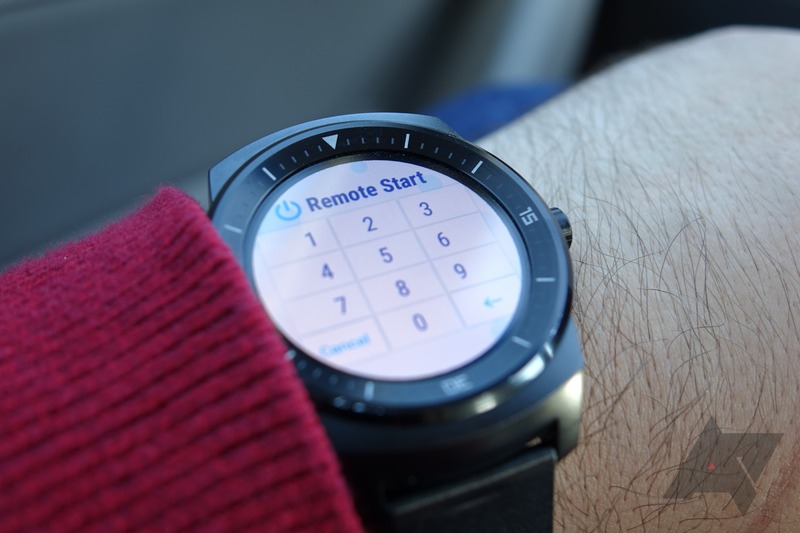 A watch is usually pretty safe on your wrist, and the watch also doesn't even work without the phone, so it has secondary authentication already. As for use cases, purposes for remote locking and unlocking are there, but obviously they're mostly backup measures. Let's say you're at dinner at a restaurant in an unfamiliar city and you parked your car way down the street on a block that could forgivingly be described as "up-and-coming." You get seated and immediately realize you don't remember if you locked your car. A few taps later on your watch, and within 10-30 seconds (depending on network speeds), your car will be locked, no matter how far away you actually are from it. This is assuming it has data signal - like most of these systems, Hyundai's BlueLink operates over cellular, so as long as you've got a 2G signal on the car, commands should be received. Unfortunately, the app doesn't let you know if the command was received. This seems like something that should change. As to reliability, I personally had no problems getting BlueLink to work - just know that when you activate remote ignition, all other remote features are disabled until you then un-start the car (read: remote stop). So you can't turn on the car and then unlock the doors with the app, or even start the car if the doors are already unlocked. This kind of makes sense, though I'm not actually sure if the car can even be driven unless the physical key fob is within range, but I don't think it can. Spending a bit of time with the service, though, I wasn't convinced I'd personally want to pay for it. And yes, Hyundai charges a subscription fee for BlueLink, with cost varying on the subscription type (almost all OEMs that have these systems do charge for service on them, by the way), but the cheapest way to do it would be $450 for a 3-year plan (which comes out around $12.50 a month). Sure, you can tack this kind of stuff onto your car payment, but it's still your money, and you still have to ask if it's worth it. If you're driving your car for a living (or live somewhere crazy hot / cold, which I don't), it may well be, but as someone who largely drives for leisure, I doubt I'd opt for it. What would make it worth it for me? More information, obviously, and more options. How much gas do I have? What's my mileage like? What's the interior temperature of the car? Is the seat set to my saved configuration? Let me pre-input a navigation destination* (*you can do this in the main Android app, but not the Wear app), or set the climate controls, or operate a motorized trunk release. One day, I would even like my watch or phone to serve as proximity-aware substitutes for the key fob, because why not? Oh, and let me tell the car to do this stuff with my voice. Some of those things may not even be possible on Hyundai's current BlueLink platform, but other automakers are inching in that direction, and I hope Hyundai starts soon. Between Android Auto and an official Wear app, Hyundai is making some of the biggest strides toward a 'connected' car of any manufacturer right now, and they still have time to refine the experience and really get it down. I hope they do.